The lawn has become a bit wild over the last storm season; with waist high grass in some places. 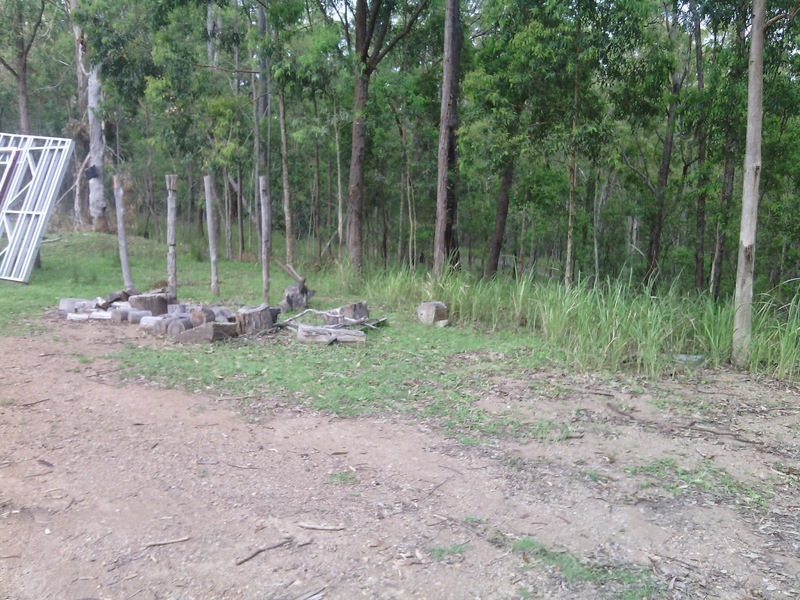 In contrast outside the home yard is mowed like a bowling green to a distance of 30 metres or so. The reason for this is sheep. My girls (and now three boys too) mow the fire breaks for me by simply doing what sheep do; eat, poop and do complex mathematical equations in their head while chewing cud. 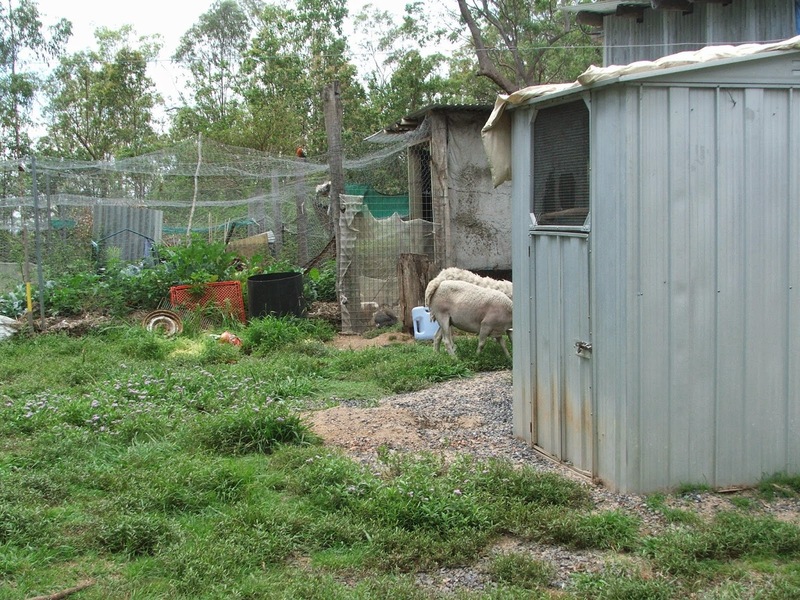 The sheep have not been allowed into the yard for months because when they are in there they eat everything they can get their hooves on; the vege bed in an old trailer, anything in pots, fruit trees and I have even caught one licking the rabbit (she looked very guilty when I caught her). 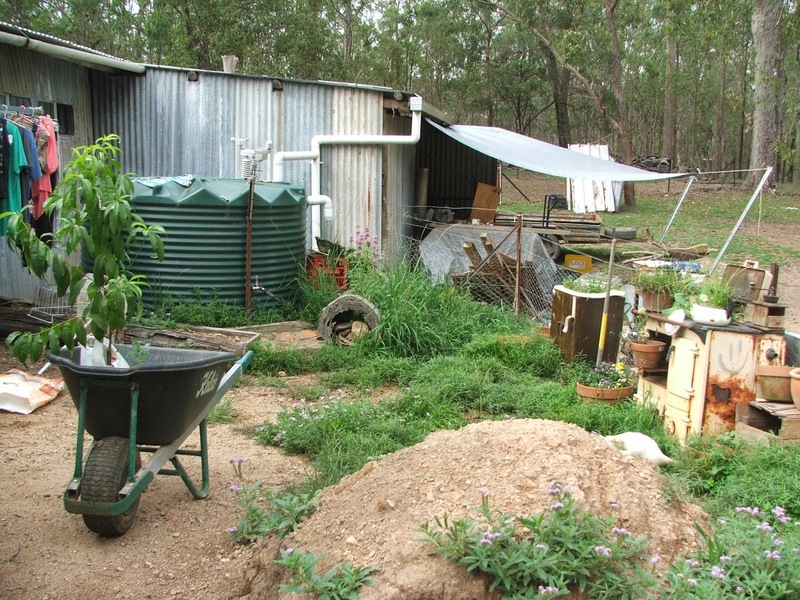 However, the lawn needs mowing…so I have put wire covers around the trees, moved the pots and let the vege bed go to seed, something may survive. 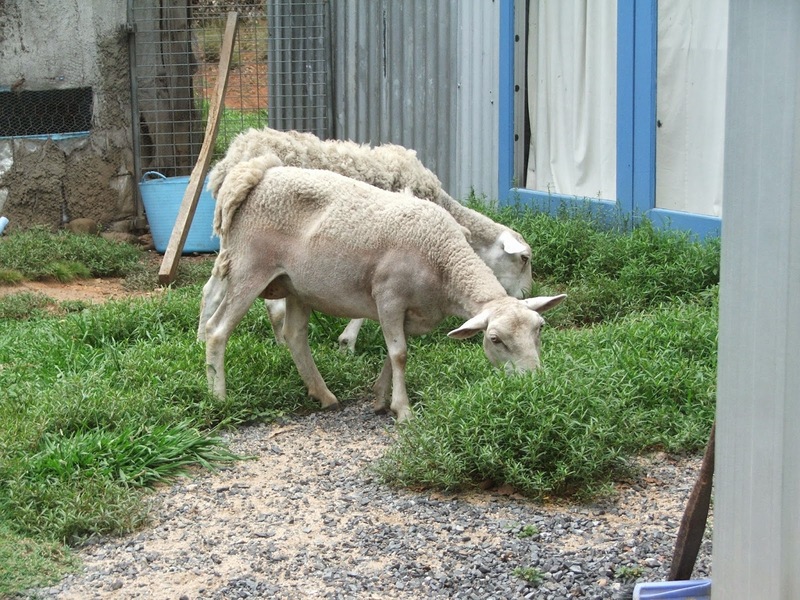 Using sheep to mow the lawn is hardly a new idea; lawns were around long before mowers were, in fact lawns were created by the grazing of animals around a building. 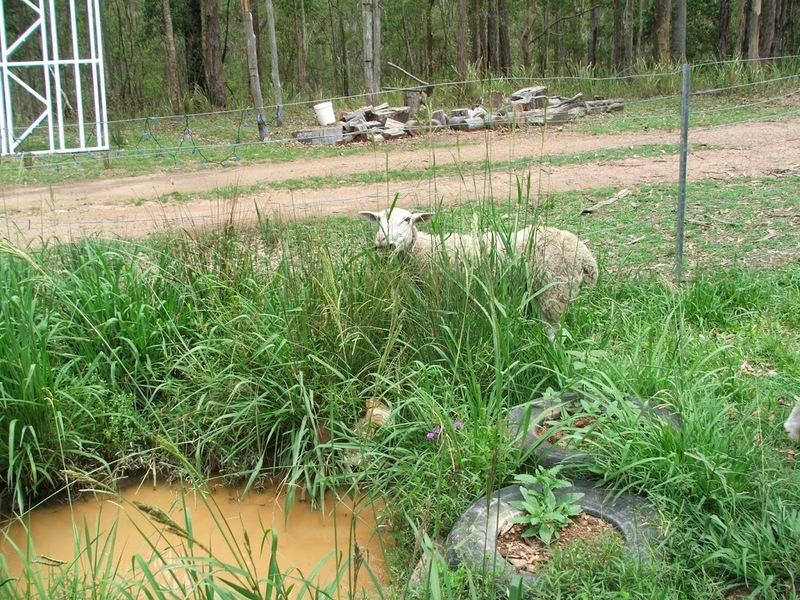 There is even a landscaping feature designed to prevent livestock from straying onto the garden while they mow the lawn, called a Ha Ha wall. 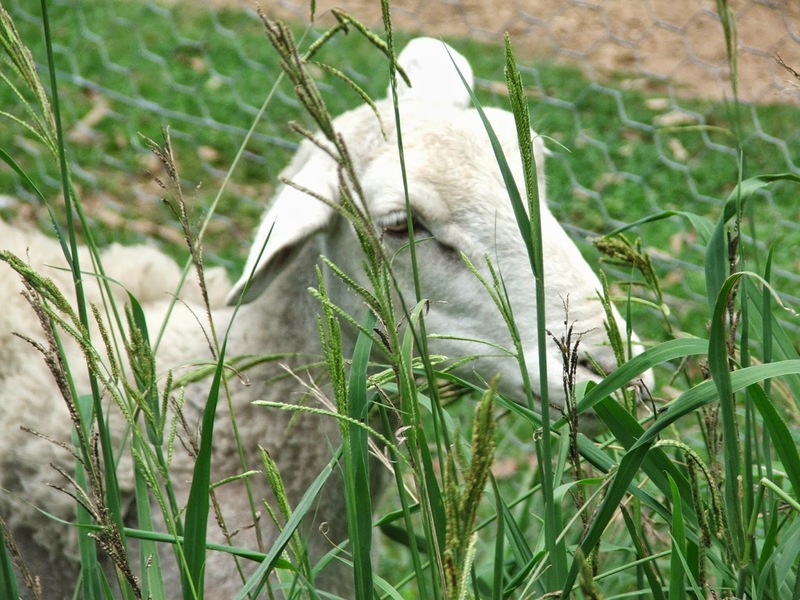 Paris (the city in France, not the socialite) began the move back to sustainable lawns last year by introducing rare breed sheep as lawn mowers in some parks, if it proves efficient, the system will be extended into the city (and beyond). The girls look a bit ragged at this time of year, they are in the process of shedding their wool. 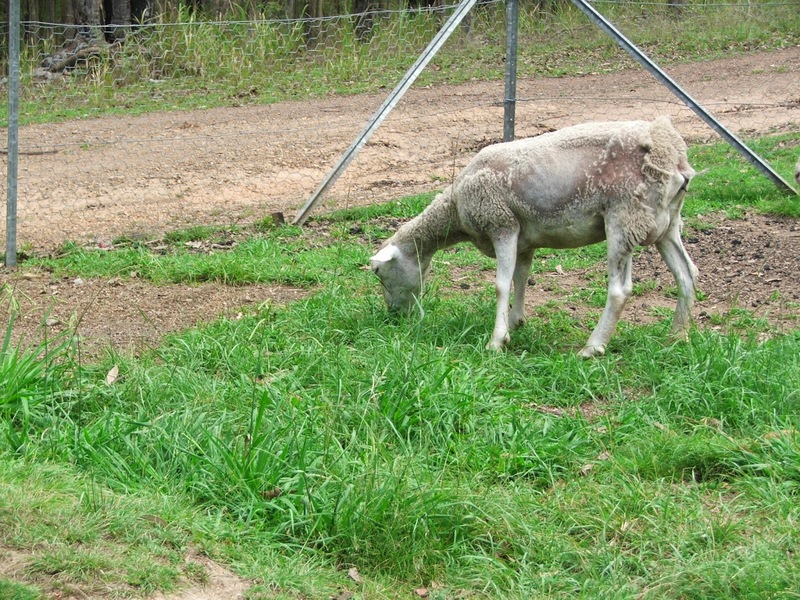 So I am continuing, or rediscovering, an ancient practice which feeds the sheep, trims the lawn and fertilises the ground. If only I could train them to stay away from the garden plants all would be perfect.